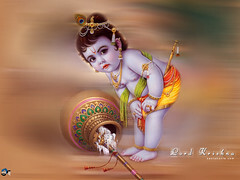 Made especially during the time of Navarathri festival which is happening at the moment. Differnt variety of rice made for 9 days in a row which is worshipped & made as prasadams. 9 days are devoted with differnt flavoured rice , payasam (Kheer) & Sundal (lentils). Happy Navarathri to all my Friends & Family. Heat oil in pan. Can use coconut oil to add in extra flavour. Make tempering using mustard seeds, urad dhal,curry leaves & chillies. Add in the cashewnut & fry till golden brown. Add in the coconut(grated) and cook till flavour comes out. Add in the boiled rice & mix well so that the coconut flavour endures wholly. looks delicious sripriya. As you said, I make sundal everyday. ooh, I love coconut rice. Came out so perfect! Looks so mouth-watering. 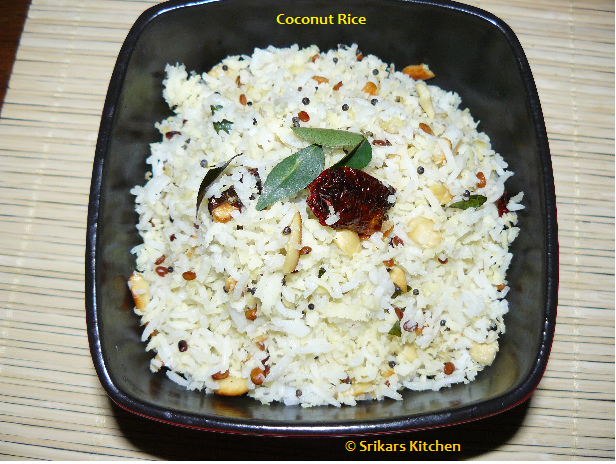 love your coconut rice picture.. happy navarathri to you. Coconut rice looks fabulous...very healthy food. Wish you a very happy Navratri and Durga Puja! I have heard so muchabout coconut rice, but never made them. I love coconut rice with potato fry ... :) Yours looks perfect. Coconut rice looks nice..Happy Navratri to you . That rice looks lovely! Mmmmm YUM! This is a simple and flavorful rice recipe. Looks so good. YUM! Lovely presentation. This rice looks absolutely delicious. Happy Navratri to you and your family. My fav variety rice.Looks perfect! That dish of rice looks very beautiful, and delicious! Never made dis rice b4, bookmared. Rice looks mouth-drooling, nice recipe!!! I too prepare the coconut rice in same way. Adding peas to it makes more delicious. Happy Navarathri. Oh i have this recipe on my blog too...my MIL taught me how to make it....tastes real yummy and can be cooked up in a jiffy. the paneer roll is also pretty tempting. Looks delicious sripriya...they looks perfect..happy Navarathiri..